Tooth loss and missing teeth are a common issue that we see patients seeking a solution to on a regular basis. After all, your smile is what shows that you’re confident and happy. Those who suffer from tooth loss report low self-esteem and a general feeling of discontent. The good news is, however, there are now a wide variety of tooth replacement options available that are sure to fit your needs. 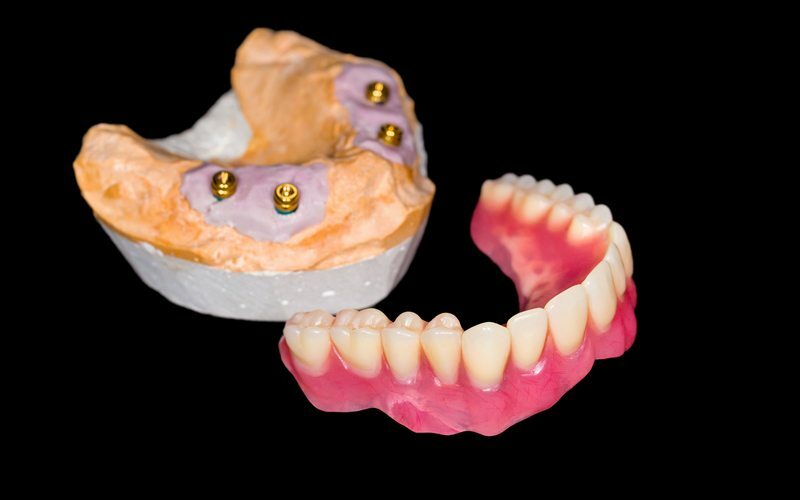 From removable prosthetics to dentures, today’s options are both attractive and natural looking. Dentures can be made to fit a portion of your mouth or your entire mouth. They are a great option for patients who want an affordable and attractive solution to tooth loss quickly. Unlike permanent solutions dentures can be removed and replaced. To get dentures the dentist will need to take impressions of your mouth and will send the impressions to a lab to have the dentures replaced. Whether you go with a set for the entire mouth or partial dentures for a portion of your mouth, these are long lasting and help you enjoy a natural smile for years to come. Caring for dentures is simple. All you have to do is remove them from your mouth and brush them with a special denture cleaning solution. You can also soak them while you sleep in a solution so that when you get up in the morning they’re ready for you to wear. Additionally, many patients prefer to use a denture paste to help secure them in place during the day. Implants are a permanent solution to tooth loss. They’re expensive, but are an ideal option for people who don’t want to bother with removing and cleaning dentures. Additionally, because implants function like your natural teeth you don’t have to worry about the implants slipping or developing a speech impediment. To have implants put in you go through several procedures. During your first appointment you come in for a consultation and have impressions taken of your mouth. The doctor will also inspect and make sure you’re a candidate for implants. Ideal candidates are healthy and have enough jaw bone to insert a post into. Once the posts are inserted into your jaw you’ll need to go through several months of healing. During your final appointment, you’ll have a permanent crown affixed to the implant. Dental bridges work to keep teeth in place so that activities like eating and talking are easier. They can also help maintain your bite and mouth shape if you’ve lost teeth, because missing teeth can cause surrounding teeth to shift. Bridges work by preparing surrounding teeth and affixing a permanent crown. This leads to an attractive smile and helps to support your surrounding teeth. If you have several teeth missing implants might be needed to support a bridge with multiple crowns. Don’t let missing teeth cause you to miss out on life. If you’re looking for a dental team who can help get you the smile you want, contact Rockdale Smiles Center. We are committed to meeting our patients’ needs and giving them an exceptional experience from start to finish.